To enquire about joining use the "Contact us" page on this website or, better still, come and see us at the club. We are there Wednesdays, Sundays and most Saturdays. 1. Full membership…………. £35 per season (January to December). This entitles you to race, use the clubhouse and park boats in the clubhouse subject to available space and in accordance with paragraph 4 of Club Rules (see "Club Rules" page). To race at the club you must be a member of the MYA via HCMYC or other model yacht club. This gives you limited third party insurance cover whilst racing. The MYA annual membership costs £14-00 for 2019. 2. Junior Membership (Age 12 to 17 years of age, inclusive, at the start of the season) ...............................£10-00 per season (January to December). This entitles you to race, use the clubhouse and park boats in the clubhouse subject to available space and in accordance with paragraph 4 of Club Rules (see "Club Rules" page). To race at the club you must be a member of the MYA via HCMYC or other model yacht club. This gives you limited third party insurance cover. MYA annual membership for juniors costs £7-00 for 2019. 3. Associate Membership……. £33-00 per Season (January to December). This entitles you to use the clubhouse and park up to 2 boats in the clubhouse subject to available space and in accordance with paragraph 4 of Club Rules (see "Club Rules" page). .Associate members may not take part in any racing at the Club so MYA membership is not mandatory. 4. 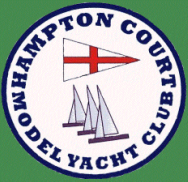 Berthing and Class Fees.................All members keeping boats on Club premises must pay the Club a Berthing fee of £5-00 per annum for each boat so kept. Each member participating in organised racing of boats in the Club's adopted classes ( IOM's, Marbleheads, A Class, 10R's, DF95's, Vane boats) must pay the Club a Class fee of £5-00 per annum for each class of boat that they race.